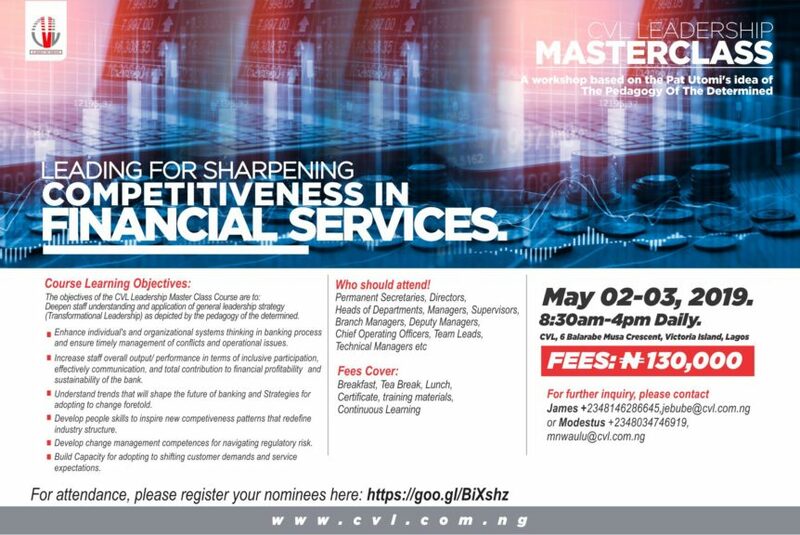 LEADING FOR SHARPENING COMPETITIVENESS IN FINANCIAL SERVICES. Leadership is a key element of growth both in terms of financial profitability and organizational sustainability. It has therefore become apparent that the Banking Industry in Nigeria needs multifaceted leaders who can act decisively on a broader-based visioning, introduce most-needed organizational innovation and change, efficiently engage their workforce, and maintain competitive advantage through effective leadership practices. Many have reached senior positions from a critical tunnel like liability generation or treasury services, for example. But they have not managed to go from subsystem thinking to a Helicopter view of the enterprise and visioning of a future of the sector in which they need to create an emotional climate in which learning prepares Banks and financial institutions for response to a future in which Fintech and Artificial Intelligence will play important roles in determining competitiveness. 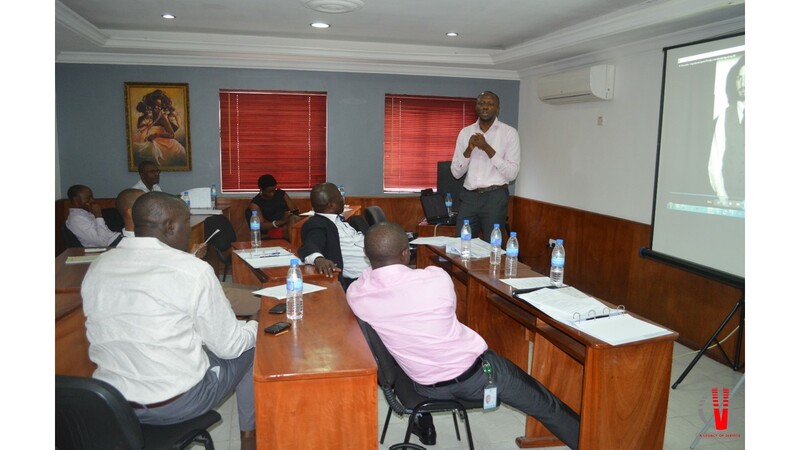 CVL Masterclass Tool, “Learning to Lead by the Philosophy of Pedagogy of the Determined” is designed by Prof Pat Utomi to equip the organizations’ leadership with the needed visioning and help them to navigate through tough challenges that may shut down many organisations in challenging or difficult periods. Deepen staff understanding and application of general leadership strategy (Transformational Leadership) as depicted by the pedagogy of the determined. Enhance individual’s and organizational systems thinking in banking process and ensure timely management of conflicts and operational issues. Increase staff overall output/ performance in terms of inclusive participation, effectively communication, and total contribution to financial profitability and sustainability of the bank. Understand trends that will shape the future of banking and Strategies for adopting to change foretold. Develop people skills to inspire new competiveness patterns that redefine industry structure. Develop change management competences for navigating regulatory risk. Build Capacity for adopting to shifting customer demands and service expectations. Fees Cover: Breakfast, Tea Break, Lunch, Certificate, training materials, Continuous Learning.